I was going to do a “What I Ate Wednesdays (WIAW) “ to give people ideas on how to stay Paleo all day, but my food photography skills are still developing and everything looked like a shiny pile of mush, so I’ll save that for next week and practice in the meantime. Originally I was going to lift this morning, but the weather was so warm (by that I mean over 20 degrees) so I decided to head outside for a run and move my weight training until tonight. 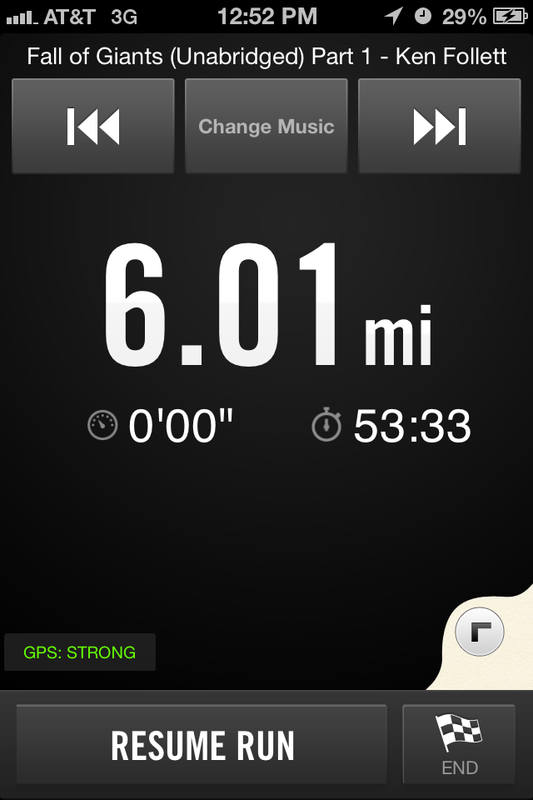 Why yes, I am listening to a book on tape while I run. Nerding out! Since I’m recovering from a cold I didn’t push it too hard, just enjoyed the sunshine and not having to run with a million layers on. I came back starving and with little time before I had to head to class. Luckily I had been good about meal prep last night, so I was able to pop some spaghetti squash with meatballs in the microwave. While eating I watched a webinar on Sugar Sweetened Beverages and the Ban in NYC (write up coming on Friday), then headed off to class. 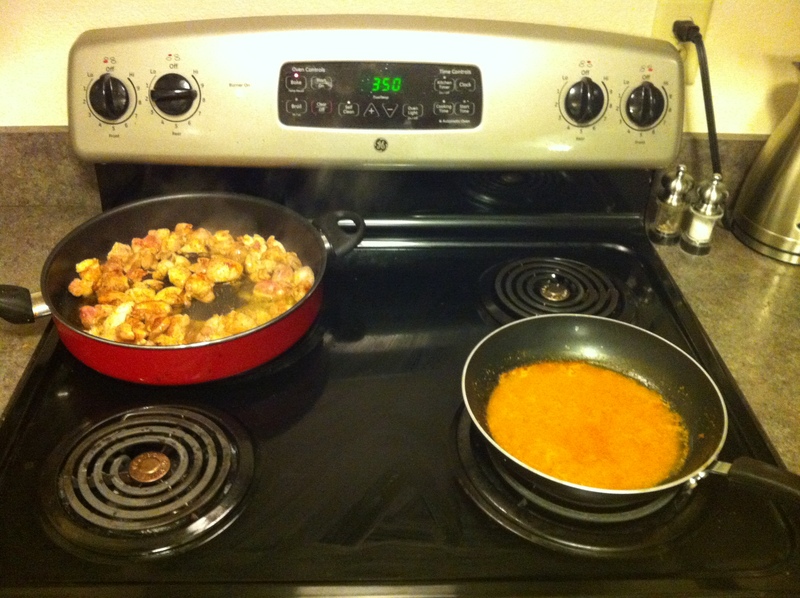 Last night, I decided I wanted something spicy and citrusy so I whipped up some Paleo Orange Chicken. I’ve never been a huge fan of Chinese Food, I always found it left me feeling greasy and tired, so that wasn’t too hard to drop when I started eating Paleo. If you are a big fan, or even if you aren’t, I recommend making this recipe. Total prep time of maybe 5 minutes. It’s incredibly simple to make, only required two pans, but absolutely delicious. * This recipe adapted from Health Bent to accommodate my soy allergy. 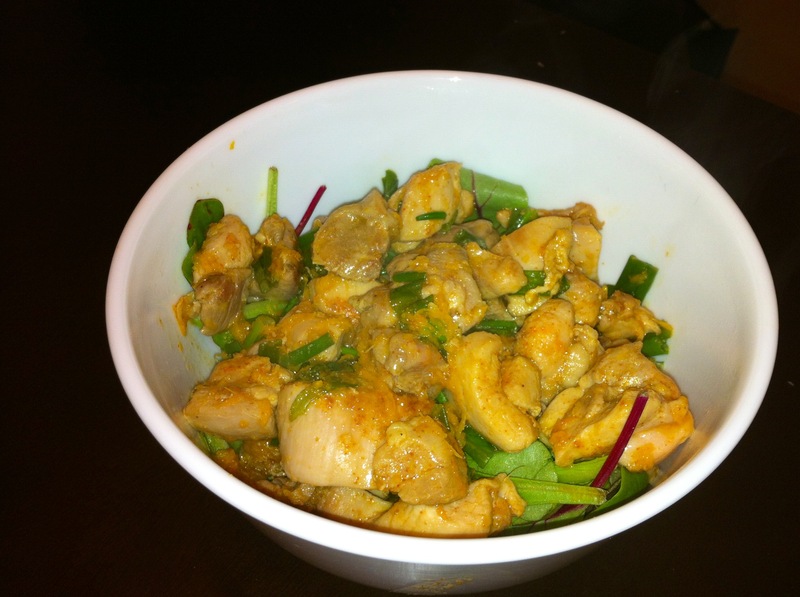 This entry was posted in Paleo, Recipe and tagged Fit, fitfluential, Food, health, Paleo, Recipe by fionaboger. Bookmark the permalink.